The University will be awarding 200 University of Auckland Doctoral Scholarships to high-achieving doctoral candidates applying for admission to an approved doctoral programme1 at the University of Auckland for 2017. Scholarships are guaranteed for all ‘straight-A’ students, provided their most recent qualifying programme was completed at a New Zealand university2. Doctoral stipends are increasing for 2017 to $27,300 p.a. (plus domestic fees), with the possibility of a six-month extension. There will be an annual cost-of-living adjustment to the doctoral stipend. 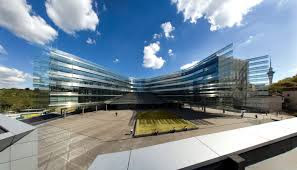 New doctoral applicants with a grade point average (GPA) of 8.0 or above, from their most recent qualifying programme, will be guaranteed a scholarship provided the qualifying programme was completed at a New Zealand university. New Māori and domestic3 Pacific doctoral applicants with a GPA of 7.5 or above, from their most recent qualifying programme, will be guaranteed a scholarship provided the qualifying programme was completed at a New Zealand university. Other new doctoral applicants may be considered for a scholarship at the discretion of the Faculty Dean, provided they have a GPA/E of no less than 7.00 in the programme that qualifies them for doctoral study or are being considered for doctoral admission on the basis of an exceptional research record. The number of scholarships available across the University through the discretion of Faculty Deans is very limited, and the Faculty Dean may choose not to exercise this discretion in any given year. All University of Auckland Doctoral Scholarships are awarded at the time of offer of place only. Please consult the University of Auckland Doctoral Scholarship regulations for full eligibility and selection criteria.